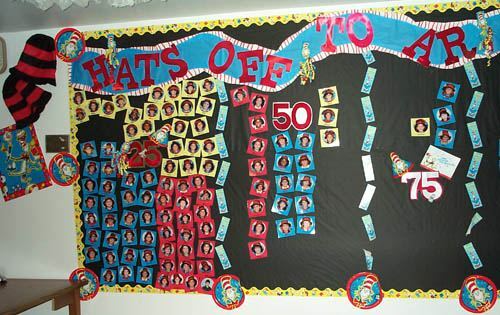 Mrs. Luster prepared this Cat in the Hat bulletin board for the new school year. She used purchased materials for most of the decoration; plates, hats, posters, etc. 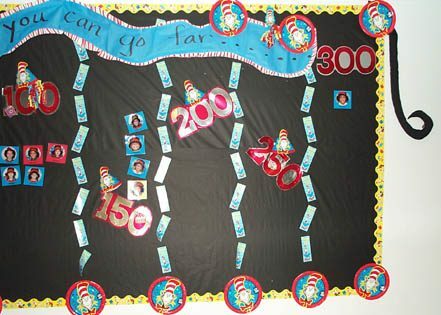 She photographed each child wearing the tall hat, then placed their picture in the correct point category as they progressed in the Accelerated Reading program. The different grade levels are represented by different colors; blue, yellow, and red. 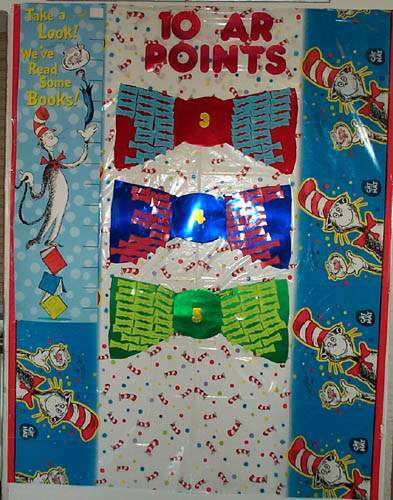 This is the 10 point board where they start. The names are on bow ties. Press "Go" to search for Dr. Seuss.